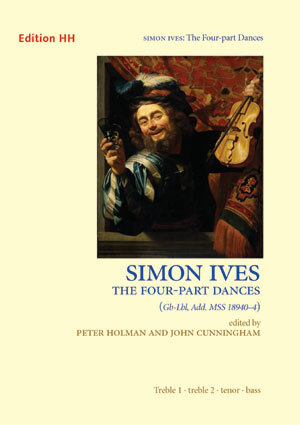 The 25 four-part dances in this edition are just about the only pieces by a London wait from this period to have survived in full consort settings, which gives them great importance in the history of English theatre music. Ives probably intended them to be played by two violins, tenor viol or viola, bass viol or bass violin with two theorboes, but other combinations are possible. The theorboes can be omitted or be replaced by a keyboard, and the collection is also suitable for consorts of viols, recorders or cornetts and sackbuts.